During his address to the Federal Assembly, President Vladimir Putin startled some observers when he said that Russia's progress in laser weaponry was "not just a concept or a plan," and that the army was already being equipped with combat lasers. 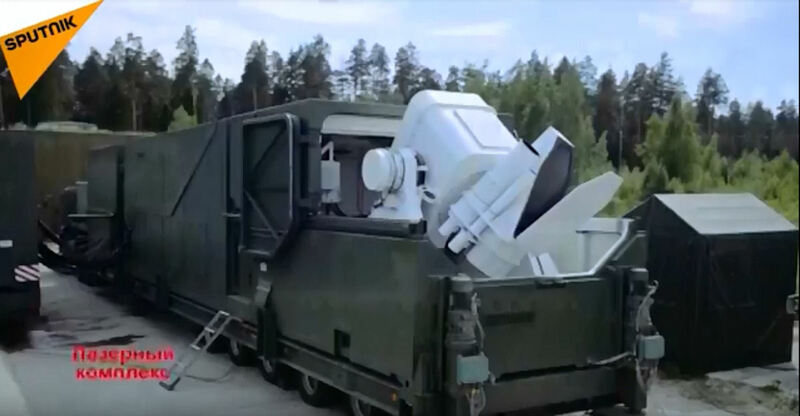 Speaking to the nation on March 1, President Putin revealed that Russia had "achieved significant progress in laser weapons," and that "combat laser systems" began to be delivered into the military last year. 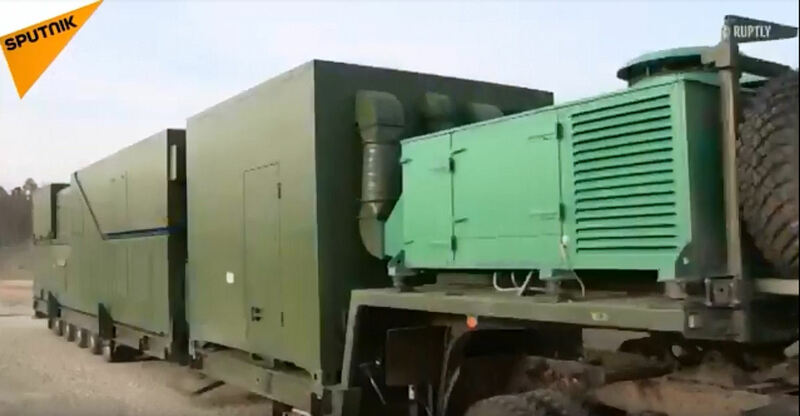 Putin's remarks were complimented by a video showing off what appears to be a heavy, truck-mounted laser platform, whose name and intended purpose remain classified. "I do not want to reveal more details. It is not the time yet. 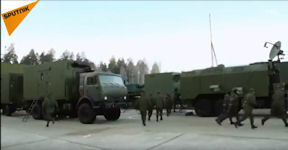 But experts will understand that with such weaponry, Russia's defense capacity has multiplied," Putin added. But what is these Combat Laser Complex [Voevoi Lazernoy Kompleks] actually for? Veteran military analyst Viktor Murakhovsky may have the answer. "Most likely, this system solves air defense and missile defense tasks," Murakhovsky, editor-in-chief of Arsenal of the Fatherland, a Russian military publication, explained. "The use of a laser beam is far more economical than the use of standard anti-missile missiles. At the same time, its accuracy is far greater," he added. 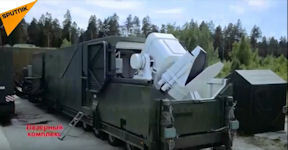 Alexander Khramchikhin, director of the Moscow-based Institute of Political & Military Analysis, suggested that based on current global trends, Russia's new battle lasers are most likely designed with close-range air defense in mind, and specifically for the destruction of drones and cruise missiles. Laser beam control systems have many disparate applications, such as directed energy weapons, both lethal and non-lethal, LIDAR and beacons, countermeasures, remote chemical sensing, target illumination, and micromachining. 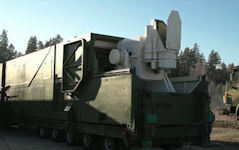 Among these applications, the high energy laser (HEL) beam control systems are used mainly in directed energy weapons. Beam control in HEL systems is rendered more challenging since such systems are often required to direct the HEL to a target across large distances, thus requiring adaptive optics to correct for atmospheric turbulence and aerosol effects. High-energy laser weapon systems normally need to compensate for atmospheric fluctuations using adaptive optics. The atmospheric compensation is usually done using a separate beacon illuminator laser to create a pseudo star on the target and sense the return in a wavefront sensor to drive the adaptive optics. In the present invention the high-energy laser itself is used as a beacon illuminator by turning it off periodically for a very short period giving the wavefront sensor and aim point sensor an opportunity to measure the return from the high-energy laser. In addition, the high-energy laser weapon can be snapped ahead of the path of the target to avoid anisoplanatism. In a high-energy laser weapon system, the laser needs to be maintained on a specific area of the target for a period of time to be effective. Atmospheric compensation using adaptive optics significantly reduces the time the high-energy laser must be maintained on the target. A tracker illuminator (TIL) is employed to measure the angle and range of the target relative to the ground based or airborne HEL weapon system. A beacon illuminator (BIL) is used to create a pseudo star on the target. The BIL return signal is measured by a wavefront sensor to determine atmospheric turbulence between the weapon system and the target. This information is then used to drive adaptive optics (deformable mirrors) to vary the HEL beam to compensate for atmospheric disturbances. This reduces the time on target required for the HEL beam to destroy the target. For size, weight, and complexity limitations, the HEL and BIL systems are usually shared aperture designs that both transmit the high-energy laser and sense the target through the same telescope since building a second separate telescope and referencing the two to each other tends to be prohibitive. The high-energy laser is often pointed open loop with no feedback as to where it is on the target. The HEL can also be pointed with respect to the BIL, but with no direct feedback if it is hitting the aim point. However, direct feedback can be obtained by looking at the HEL scatter (in band) or heated spot (black body heating or hot spot). The beacon illuminator laser operates at a different frequency than the HEL and could need to be hundreds of watts of power to get enough return signal above the background and electronic noise depending on the range to the target. HEL beam control systems typically use two illuminators, one to track the hard body of the target (called the "target illuminator") and the other for wavefront sensing (called the "beacon illuminator"). The target illuminator is usually a broader beam, and it is usually directed to a large portion of the target, or sometimes the entire target, to track features of the target, locate and select an aimpoint on the target, and maintain a stable line of sight to the target. The beacon illuminator is a beam directed toward the aimpoint, or alternatively ahead of the aimpoint to correct for distances and target velocity. The beacon illuminator is usually a beam at a wavelength different from the HEL in order to enable distinguishing the two beams. The return from the beacon illuminator is sent to an adaptive optics system to measure the wavefront error resulting from the flow field and atmospheric turbulence between the HEL source and the target. Such two illuminator systems, while functional, are costly, heavy, and complex. A laser beam return, which includes scatter from the laser beam, is received through the output aperture and detected by a sensor. An optics controller is operationally coupled to the deformable mirror and is adapted to adjust the deformable mirror in response to a wavefront of the laser beam return detected by the sensor. The scatter may result from the laser beam incident upon the target, or it may result from the laser beam passing through a medium between the output aperture and the target. The method of controlling the laser beam includes directing the laser beam along an optical path through the output aperture and toward a target using at least one of a steering mirror and a deformable mirror. A laser beam return, which includes scatter from the laser beam, is detected, and the detected beam is used to adjust at least one of the steering mirror and the deformable mirror. The scatter may be generated by the laser beam incident upon the target, or it may be generated as the laser beam passes through the medium between the target and the output aperture. Scatter from the two different sources may be differentiated using speckle statistics. As an option, the wavefront of the laser beam return may be detected, in which case the deformable mirror is adjusted in response to the detected wavefront. As another option, a relative position of the laser beam return is detected on a sensor, and the angular position of at least one of the steering mirror and the deformable mirror is adjusted in response to the detected relative position. 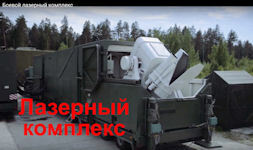 Yuri Borisov, Deputy Minister of Defense of the Russian Federation, cited the example of the possibility of the "Peresvet" combat laser system, which can be used against missile guidance systems. "There are on-board defense complexes that almost all aircraft are equipped with, which aim is to counteract anti-aircraft missile systems, they are usually equipped with homing heads, the basis of which can be optical heads." Laser technologies are used for illumination - the homing head is blind, the missile does not find its goal, "he said. 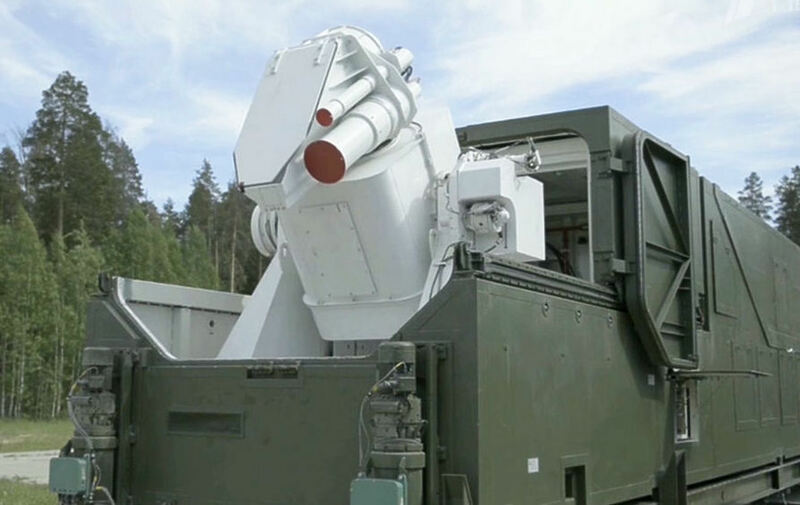 At the same time, Borisov stressed that the US also has prototypes of laser weapons, "capable of destroying lightly armored vehicles and damaging manpower." 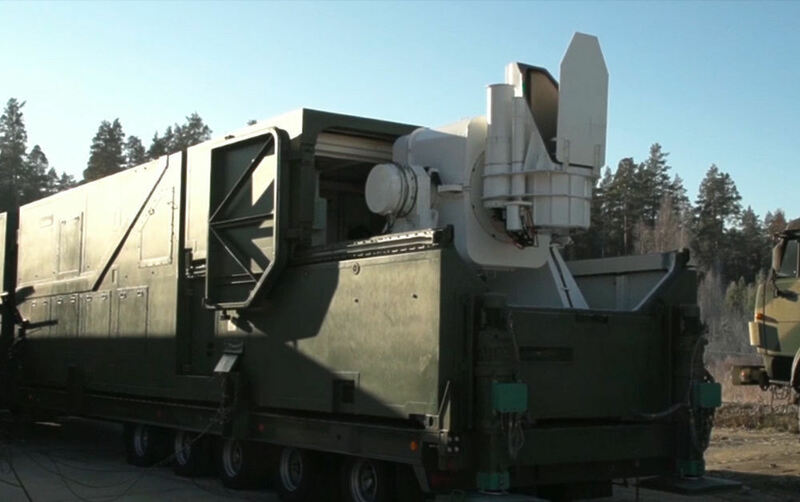 However, the priority in mastering laser technologies has always been on the side of Russia. 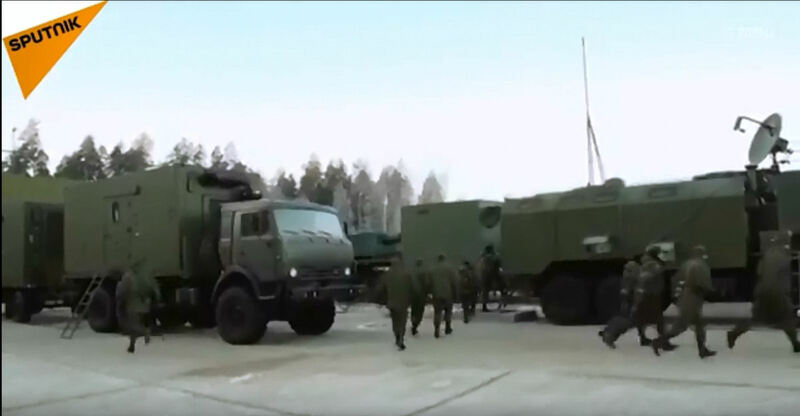 The Russian Defence Ministry has published a video, featuring the deployment process and combat preparations for the Russian combat laser system "Peresvet", which entered experimental combat service with the army on 01 December 2018. After undergoing a special briefing, soldiers, operating the "Peresvet", now practice the timely execution of all the cutting edge system's deployment stages. Little is known about the laser system, first revealed during Russian President Vladimir Putin's address to the federal assembly on 1 March 2018. It is expected to be an air-defence system that can track and shoot down hostile aircraft and missiles. Some suggest it will be tasked with "blinding" sophisticated enemy systems, making them inoperable. The naming was chosen by Russian citizens via online voting.